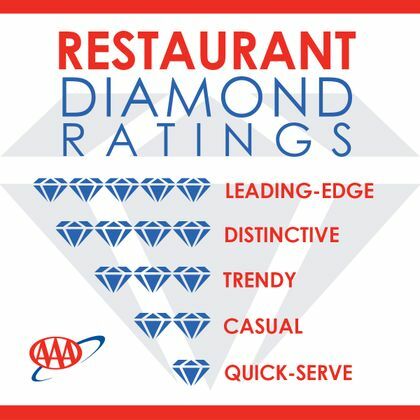 AAA East Central is pleased to announce that Bavarian Inn Dining Room, Shepherdstown, 164 Shepherd Grade Rd, has received the esteemed AAA Four Diamond Rating again this year. It has maintained this status consecutively since 2001. “Four Diamond restaurants are committed to providing every guest with a personalized experience and attentive service in comfortable, high quality surroundings,” said Jim Lehman, President of AAA East Central. “These establishments consistently exceed the expectations of the most discriminating traveler – the AAA inspector,” he added. AAA Four Diamond restaurants are an exclusive group, offering distinctive, creatively prepared cuisine, skillfully served in a notable environment. Only 2.1 percent of AAA Inspected & Approved restaurants – 665 – made the Four Diamond list for 2018, including 52 added this year.